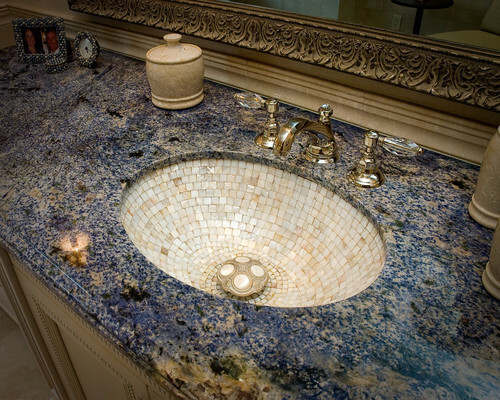 Azul Bahia is a semi-precious stone quarried from a bedrock quarry in Bahia, Brazil. 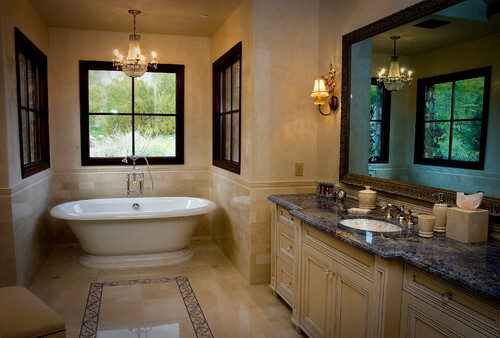 It is a striking piece of granite that can vary quite dramatically from bundle to bundle. 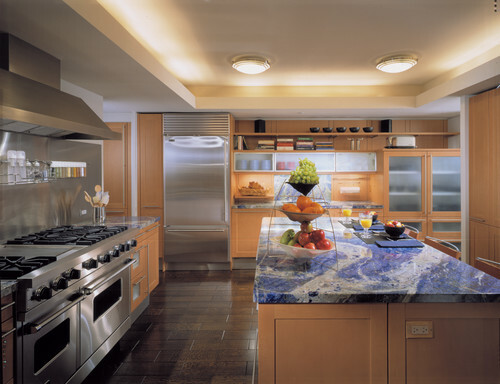 So be sure to select your exact slabs when using this color. 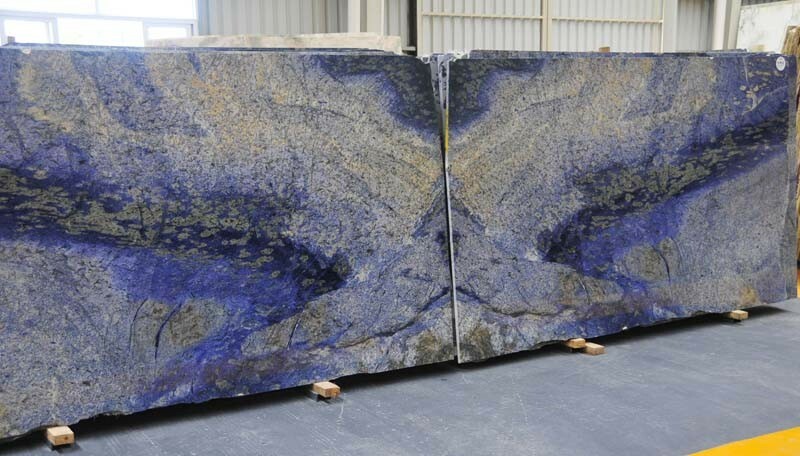 Azul Bahia slabs are bookmatched which is great if you have a large island or are using it on a feature wall. Here are a couple of examples of what this stone looks like bookmatched. Other names for Azul Bahia include: Blue Bahia Light, Blue Bahia, Brazil Bahia and Brazilian Blue. 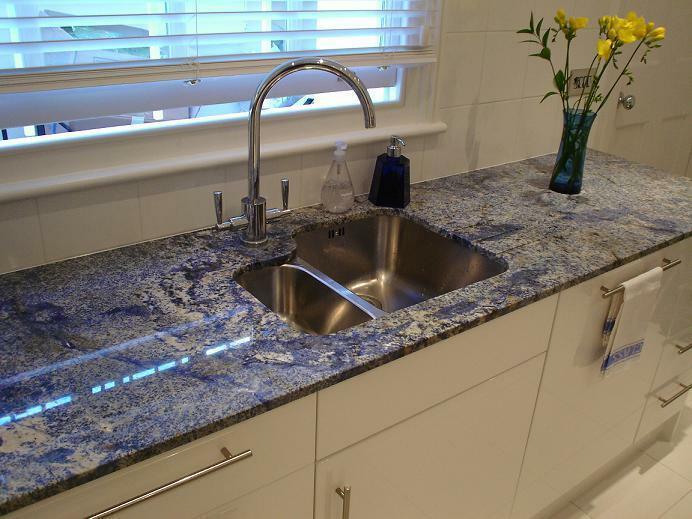 Blues are generally more expensive when it comes to granite because they are more rare. Azul Bahia is available in 2 cm and 3 cm slabs.